The older I get, the more I am learning the difference between giving up and letting go. The difference between wanting and needing. The difference between what should be considered a luxury and what is truly fundamental. Many expectations are bombarded on us. Impositions are regularly instigated by Satan, by others, and even by ourselves. "We must behave a certain way." "We must possess an impeccable style and charm." "We must be organized, well-read, educated, and the best at what we do." "We must appear model beautiful and be desirable to all." "We must have a family, wealth, and a certain social status." "We must succeed, and our success must remain equal or better to the would-be expected successes of others." So... what happens when the beautiful become wrinkled? What happens when the healthy become weak? What happens when the wealthy lose their fortune? What happens when what once defined us no longer exists as a realistic possibility? Do we keep walking down a broken path of unrealistic expectations? Or do we turn to our Creator? Do we let go of all we think we know and seek after God's more stable, reliable, trustworthy Way? I used to think that surrendering "my way" to God was a form of giving up and not, in fact, the act of wisely letting go. But it turns out that letting go and giving every thought, thing, expectation, and desire over to God is the wisest thing we humans can do. 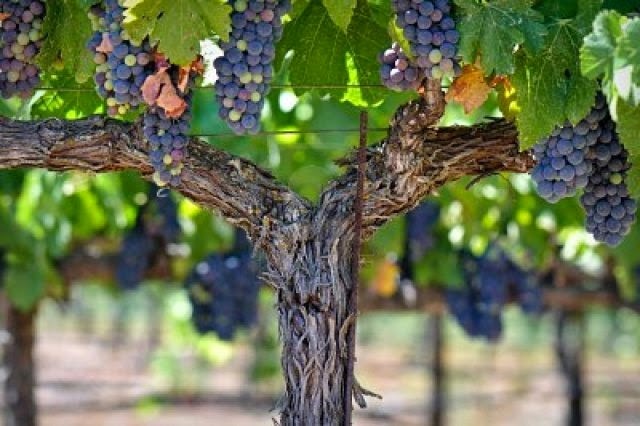 Jesus says in John 15, "I am the true vine, and my Father is the gardener. He cuts off every branch in me that bears no fruit, while every branch that does bear fruit he prunes so that it will be even more fruitful. You are already clean because of the word I have spoken to you. Remain in me, as I also remain in you. No branch can bear fruit by itself; it must remain in the vine. Neither can you bear fruit unless you remain in me. I am the vine; you are the branches. If you remain in me and I in you, you will bear much fruit; apart from me you can do nothing. If you do not remain in me, you are like a branch that is thrown away and withers; such branches are picked up, thrown into the fire and burned. If you remain in me and my words remain in you, ask whatever you wish, and it will be done for you. This is to my Father’s glory, that you bear much fruit, showing yourselves to be my disciples. As the Father has loved me, so have I loved you. Now remain in my love. If you keep my commands, you will remain in my love, just as I have kept my Father’s commands and remain in his love. I have told you this so that my joy may be in you and that your joy may be complete. Greater love has no one than this: to lay down one’s life for one’s friends. You are my friends if you do what I command. I no longer call you servants, because a servant does not know his master’s business. Instead, I have called you friends, for everything that I learned from my Father I have made known to you. You did not choose me, but I chose you and appointed you so that you might go and bear fruit - fruit that will last - and so that whatever you ask in my name the Father will give you. Isn't it interesting that God's version of success is simply for us to stay close to Him. To stay connected with His Word. To remain in His love and share it with others. God asks us to devote our days to letting go of all other pre-conceived notions and instead focus only on obediently keeping His commands and bearing His fruit. It seems so much simpler, doesn't it? Letting go of our would have, should have, must be mindsets and allowing the Vine to feed us. Trusting His abundant LIFE to fuel our hearts, minds, souls, and strength with His love, joy, peace, forbearance, kindness, goodness, faithfulness, gentleness and self-control. Furthermore, God promises that His Way is everlasting and His Word is eternal. "When he (The Holy Spirit) comes, he will prove the world to be in the wrong about sin and righteousness and judgment: about sin, because people do not believe in me; about righteousness, because I am going to the Father, where you can see me no longer; and about judgment, because the prince of this world now stands condemned..."
Did you get that? Jesus said that He still had MUCH MORE to say to his followers, but knew they could not bear it all at once. Instead, God promised to send The Holy Spirit to make known to His people what we all need to know... and His Spirit would then guide us into all truth! Considering this, we must return to the life-giving Vine mindset in our day-to-day. We must remain connected to God's unchanging, ever-bearing truth. How do we do that? We need to be where our Redeemer is alive and active. Yes... our health, our vitality, our entire life depends upon receiving, digesting, and sharing The Word of The Lord! Our devotion to Christ is not something to fit in from time-to-time. It is not something centered around our faulty way of thinking. No. Our devotion must regularly bring us to the Master's throne and His Way, His Wisdom. Our devotion is about seeking Him in order to find and know Him. And in His presence, at His feet, on His altar, we must let ourselves go. We must sacrifice what is not of Him in order to stay connected and alive. We must abide in the living Vine so that we might receive His mercy, find grace, and LIVE FULL! We must show up frequently and wait upon His timing - for there is more He wishes to share. There is more His Holy Spirit will show us through His eternal, living Word! Need more confidence in the Lord? How about this... God promises to cover all areas of our life. He will provide exactly what we need when we need it. He will take on every burden, and He will protect and teach us in His perfect faith, hope, and love! Believers, let us seek first the Vine, for we are His branches. Let us daily approach God’s loving throne of grace with confidence, so that we may receive His mercy and receive whatever more He wishes to tell us and teach us through His Word. We exist to produce His fruit. We are alive because we live in Him!! !